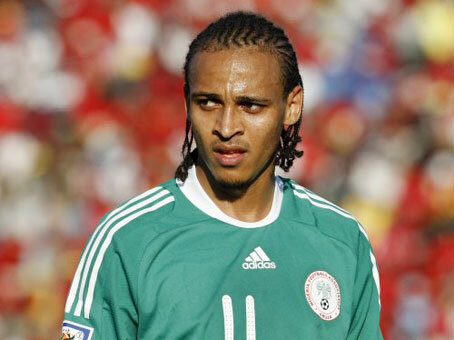 Gunmen have killed the manager of a hotel belonging to Nigeria’s ex-Nigeria international footballer, Osaze Odemwingie, located at Erediauwa Street, off Upper Sokponba Road, Ikpoba-Okha Local Government Area, Edo State. The name of the hotel manager killed on Sunday was given as, Osato Okunkpolo, married to a journalist, Anita Okunkpolo working with a local tabloid in Bénin City. Sources at the hotel said the gunmen gained access to the hotel at about 9 p.m. and shot Mr Okunkpola dead. Edo Police Public Relations Officer, Chidi Nwabuzor, a deputy superintendent of police, who confirmed the incident, said Mr Okunkpolo was hit by a bullet in a shootout between two rival cult groups. Mr Nwabuzor said members of Eiye and Aye engaged in a shootout in the area on Sunday night. “The incident is true. It is true that a murder occurred at Odewingie Hotel on the February 17, 2019. ‘‘The incident was between two secret cult rival groups – the Aye and Eiye cult groups. “During the process the manager was killed inside the hotel. “It was not an armed robbery incident. The corpse has been deposited at the Bénin Central Hospital, Mortuary. “Our detectives are still investigating the incident,” he said. The post Gunmen Kill Manager Of Osaze Odemwingie’s Hotel In Benin appeared first on LATEST NIGERIAN NEWS BREAKING HEADLINES NEWSPAPERS.